As its name suggests, the stunning free-standing Olympian from Aquatica is inspired by the classical grandeur of the Roman empire. Taking it lead from a civilization for whom bathing played a major part in culture and society, Olympian incorporates the classic ribbed rim and majestic plinth of the Roman style bathtub in technologically advanced, high-performance solid surface stone composite AquateX™. 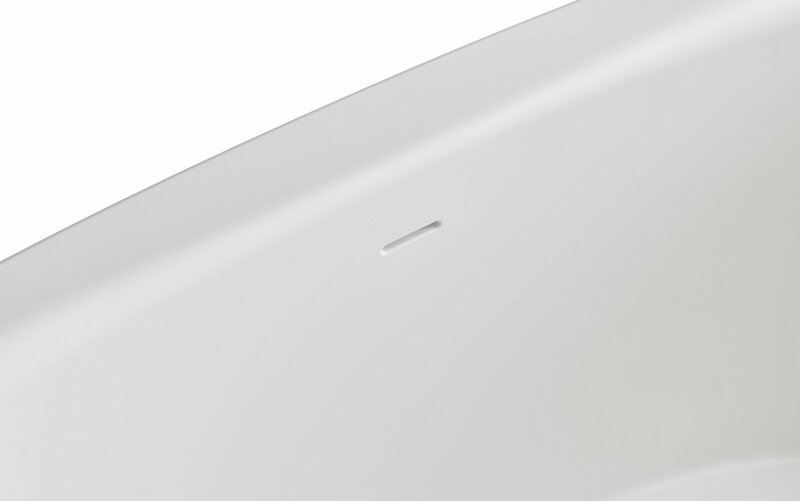 The architectural styling and sculptured stonework quality of the bath is also reminiscent of its heritage. You and perhaps a friend, can lie back and luxuriate in its sinuous curves and be transported back in time to your very own ‘Roman tub’ of yesteryear. 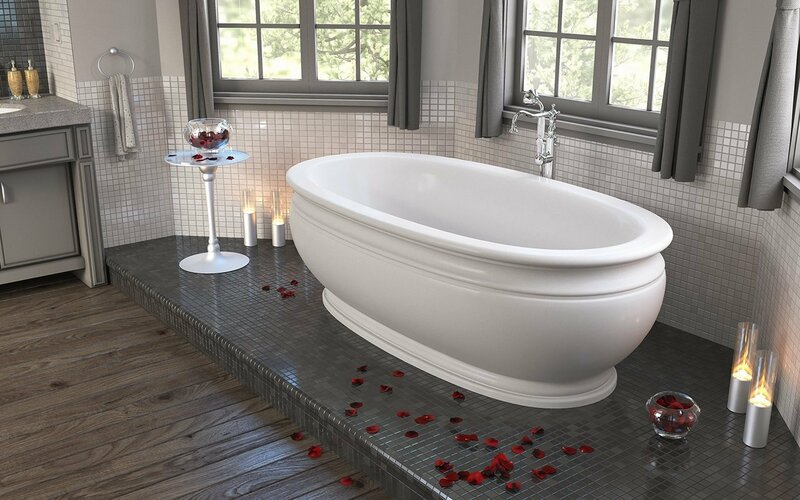 ‘When in Rome’, lie back and luxuriate in this history-inspired freestanding tub made for classical bathing comfort. 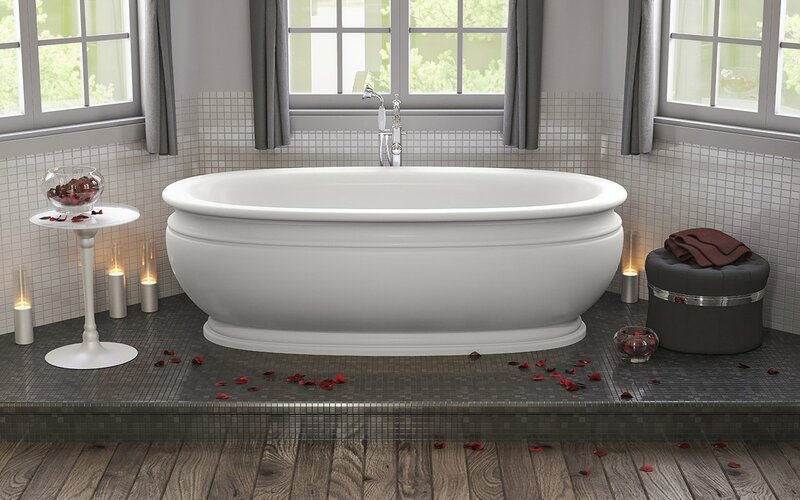 At 62” (157.4cm) internal length, this is a larger sized bath that promotes true neck-deep soaking, the gently reclining walls and curved rim providing natural comfort and support for the back and neck. This bath is also large enough for comfortable two-person bathing, enhanced by the centralized pop-up waste.